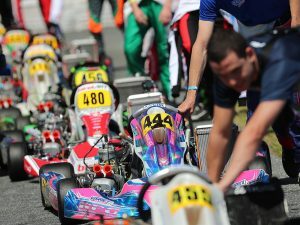 The Junior ROK class had 31 drivers this season, with the numbers up from last year’s entries and a tight field of talented and competitive drivers. The top 3 drivers this season were certainly powerhouses in their class. The #207 Anthony Gangi Jr., Mathias Ramirez in the #258, and #272 Enzo Fittipaldi were constantly battling for the top spot each race Rounding out the top 5 were Tyler Gonzalez (#257) and Vincenzo Sarracino (#210). Gonzalez was frequently on the podium throughout the year, and Sarracino made a lot of gains this season as well. 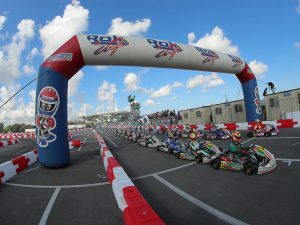 Gangi Jr. and Ramirez both earned spots at this year’s ROK Cup International Final, Gangi Jr. for his win in the ROK Cup USA championship and Ramirez for his win in the Florida Winter Tour ROK Cup Championship. Both drivers made it into the main final against a stacked field of the best drivers from around the globe, earning some great recognition and a wealth of experience at the International event this past October. 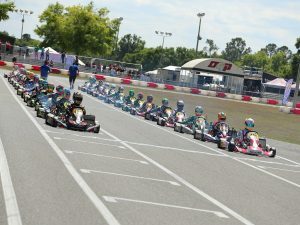 Many of the Junior ROK drivers had just moved up this year, including Zachary Hollingshead and Dylan Gennaro just to name a couple. These drivers still demonstrated solid performances in the class despite it being their first season, and the Junior class is one to watch as more and more drivers jump onto the very competitive ROK GP engine package. The two other classes which run on this engine package in the USA are Senior ROK and Master ROK, and next week we’ll dive further into these classes as we continue our recap of the season.